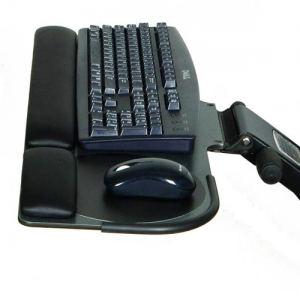 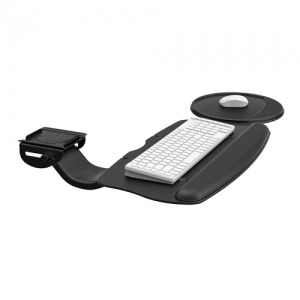 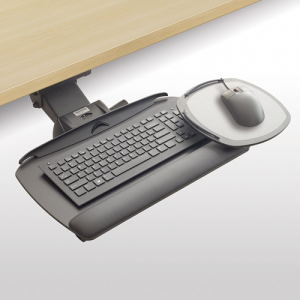 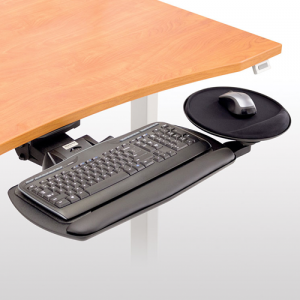 Keyboard Trays - Ergonomic office solutions that create a better work environment. 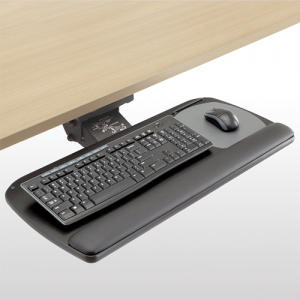 Keyboard trays are an ergonomist’s go-to item when it comes to employee health and well-being, because keyboard trays provide the proper forearm position to get the wrists and hands in the correct position and for some this maybe above or below work surface. 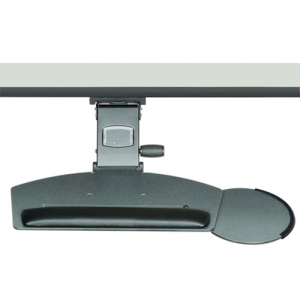 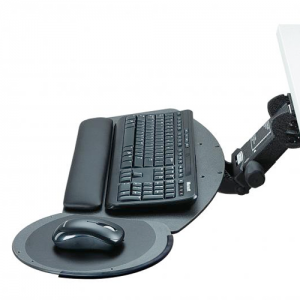 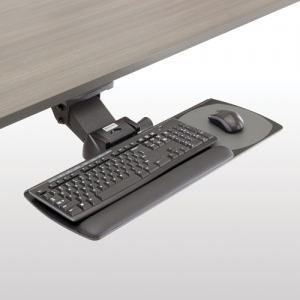 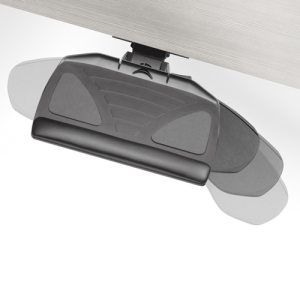 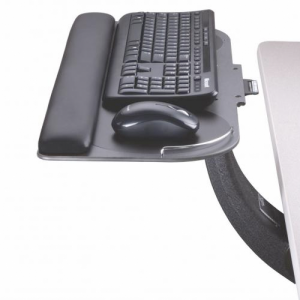 When selecting a keyboard tray, some things to consider are articulating, corner mount, depth of current surface, using in conjunction with a sit/stand, slim design, aesthetics, size of existing keyboard and mouse, the ability to work with left or right handed employees, negative tilt, the type of bearings used and longevity in the workplace.